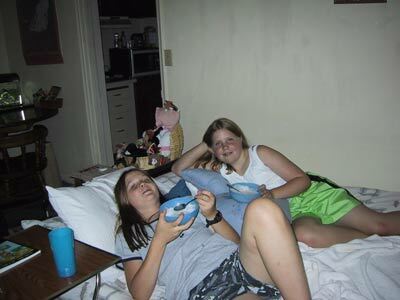 Warning: This page contains a lot of pictures. It may be slow to load but it's worth the wait. 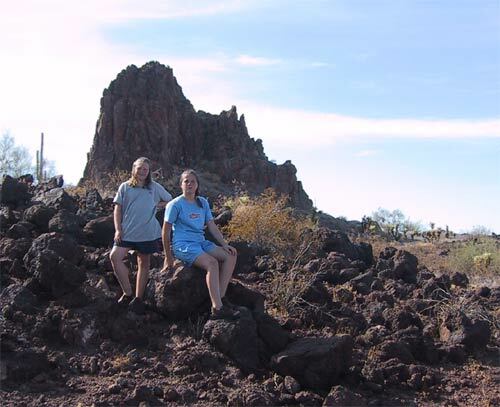 In June 2001, Ashlee and Danielle flew to Arizona to visit their grandparents. First stop was at Grandpa's in Mesa. 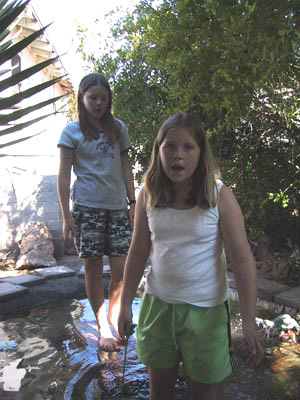 Ashlee was amazed that Danielle could walk on water. Mountain climbing . 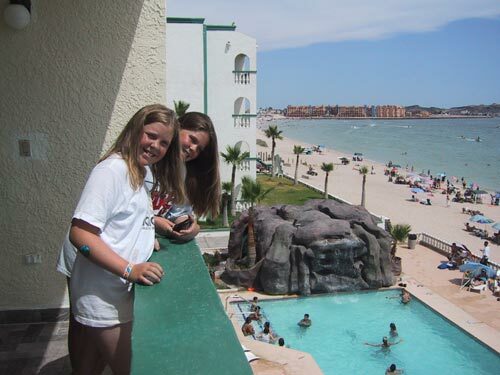 . .
We went to Puerto Peñasco (that's Rocky Point) and stayed at a resort hotel. 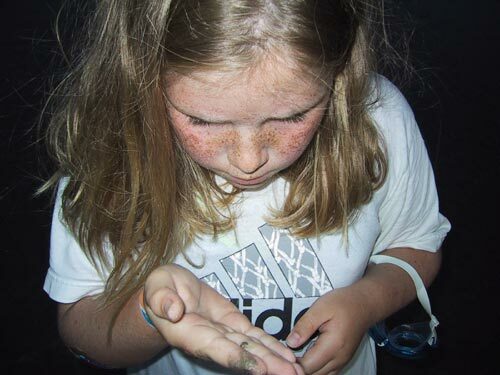 Ashlee made friends with a tiny snail. 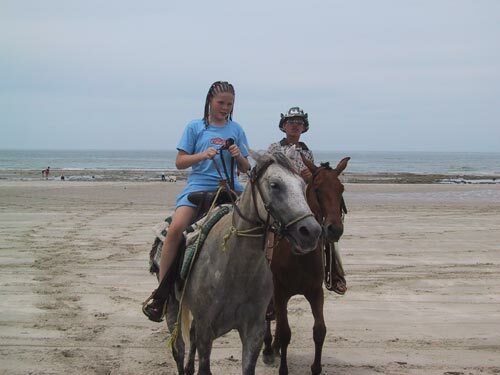 Danielle enjoyed a ride on the beach, but she didn't like the cowboy. 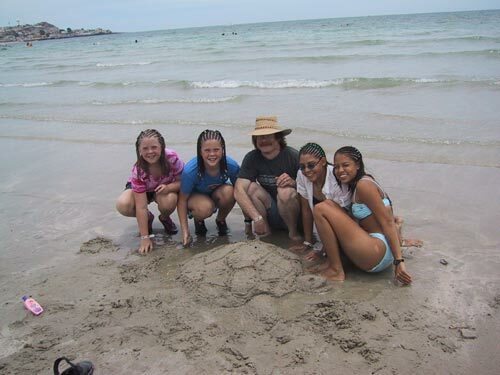 Ashlee & Danielle, their cousins Nico & Nellie, and their uncle Hop made a sand tortuga (that's Spanish for turtle). 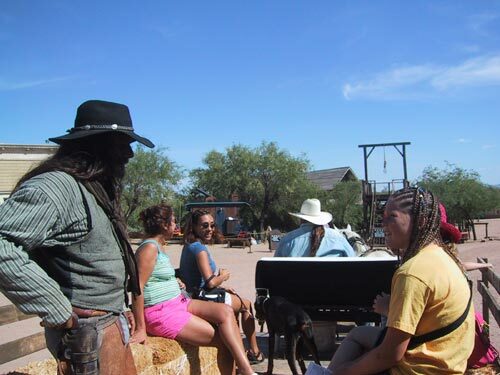 Jesus, the burro, was a big hit at the Ajo Copper News potluck. Danielle and Ashlee joined Dominique and teenage slave Mona in petting him while Mike Holt watched. 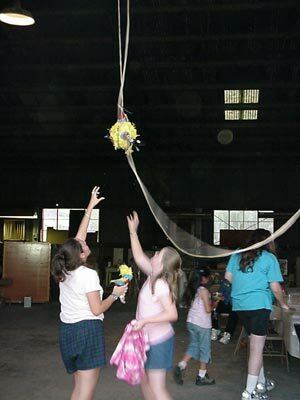 Mona and Ashlee tried to grab the piñata at the potluck. Nana said that any futher bickering might end in death. 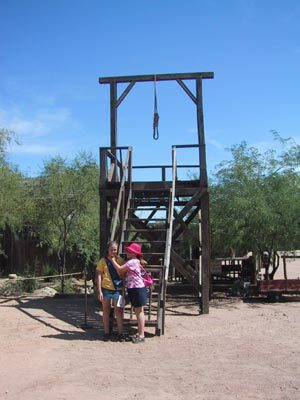 Ashlee thought she'd save Danielle a climb up those steps. Was this a good guy or a bad guy? 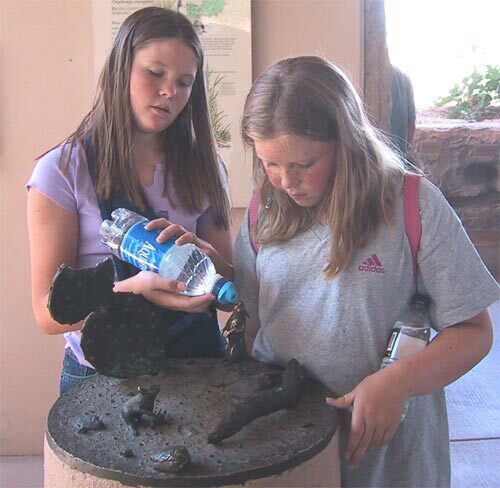 Little desert rats needed a drink of water at the Arizona Sonora Desert Museum in Tucson. 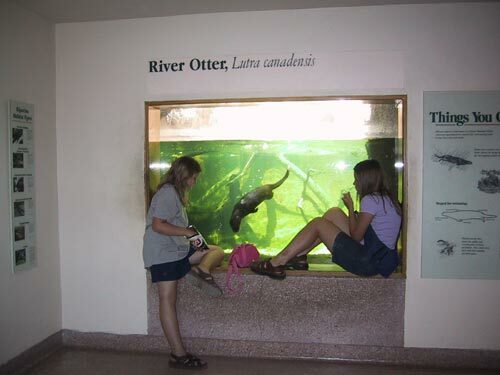 Hmmmm, otters are part of the desert? The sign says they are, at least in some wet parts. This guy was interested in Ashlee's purse. 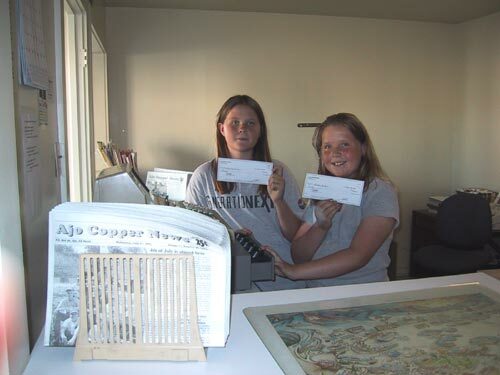 We also worked at the Ajo Copper News. We learned how to run the cash register, wait on customers, answer the phone, stuff inserts, and lots more. 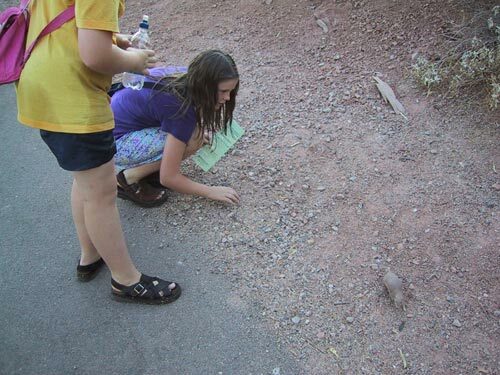 The Phoenix Zoo was really hot and we didn't get to see many animals. However feeding this ground squirrel was fun. 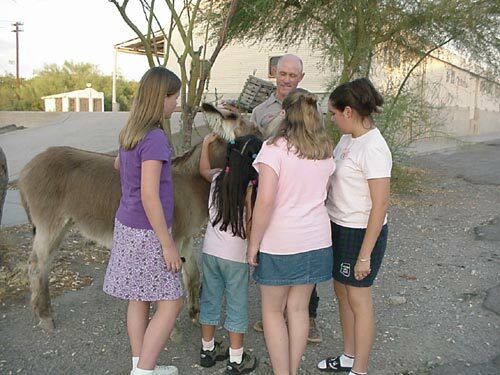 The last of the trip was spent with Grandpa in Mesa. There was a lot more to our trip. We played with Nana's cats and turtles, we watched videos, we ate, we cleaned house, and we even got to ride on an ambulance call with Nana in the rescue vehicle and the lights and siren on. 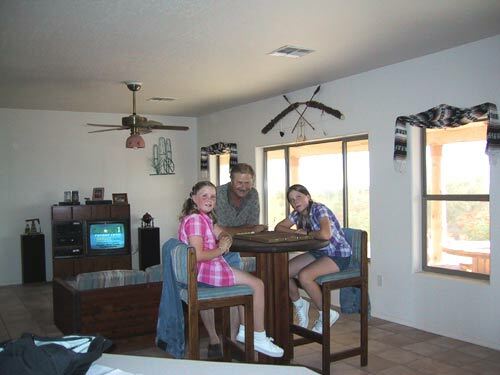 Later we spent a week in Mesa with Grandpa and got to go tubing down the Salt. 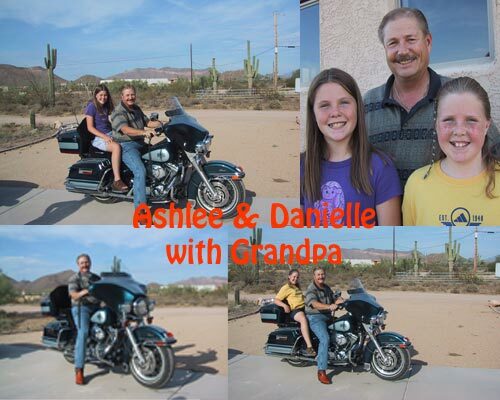 Danielle and Ashlee are Gabrielle's granddaughters. And if you're wondering, it's no accident there are no pictures of Gabrielle (aka Nana).